As an accredited Google Street View photography studio we’re able to help you put more of your business on the map. 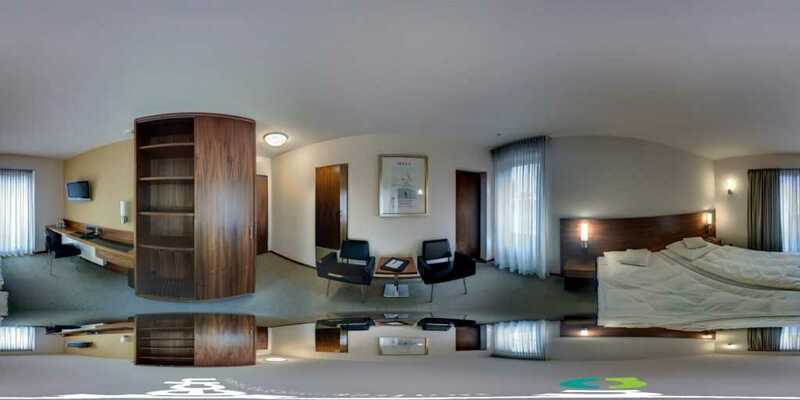 360 degree photos allow you to bring customers into your hotel, restaurant, studio, sports center, church or any other kind of location right from Google Maps. Images can be linked into a virtual tour, can replace old, incorrect Google Street View images, appear on your Google My Business profile and appear on Street View as either a photo sphere or ‘see inside’ feature. We’ve seen a very high activity rate with 360 degree photos and expect this to increase in the future. It’s just a short step from linked 360 photos graphs to a virtual reality experience than can help sell products directly from Google Maps. Starting now could help your business get ahead in this new experience. We’ll be tracking it closely and adding new services when new techniques and technology are available. 360 degree photos also work well on Facebook business pages and can be used on other websites too. We’re also able to do 360-degree videos. Take a look at the connected 360-degree tours around this article. We offer three packages. 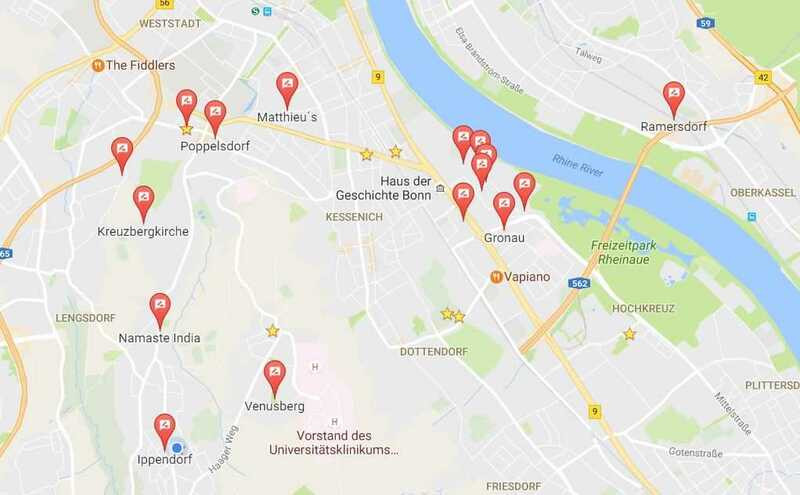 A simple 360 degree photo of your location in Bonn is combined with 30 minutes of information that can help your business shine on the web. Our 360-degree tour option will bring your photographs into Google products as an inside view and if you want a set of 360 photos to share and use on other platforms we can offer that too. Naturally we’re happy to work with you on bigger projects and we’re also able to provide high-quality DSLR-based 360 degree photo service. Tours and events promoted through websites and social media, for example. We work closely with experts in all areas of website and social media optimisation. If you’re working in tourism and travel, real-estate and event promotion we’d love to talk to you about the full range of services that can bring your company right up to date. Contacts us using the buttons below to book your 360-degree photo session. A 360 photo and some advice. All in under 1 hour at your location. 30 minutes of advice or support around Google My Business or your website. Photo added to your location on Google Maps. Contact us for the 360 degree starter option. Maximum 3 rooms, 9 fotos. Higher quality DSLR sitched and enhanced photographs available on a project basis. 360 degree photo set as with the ‘tour’ package. Global usage rights and upload support for Facebook, Google Plus and other platforms. Maximum 3 rooms, 9 photos. DSLR ‘stitched and enhanced’ highest quality photos available on a project basis. See our video services page for more about image and business event promotional videos. Below you’ll find an example of a Google Streetview tour embedded in a webpage with thumbnail images that switch the different views and locations. This example: Venusberg Hotel Bonn.